Sights & Sounds is your weekly guide to the Bay Area arts scene through the eyes and ears of local artists. This week our guest is Edy Boone. 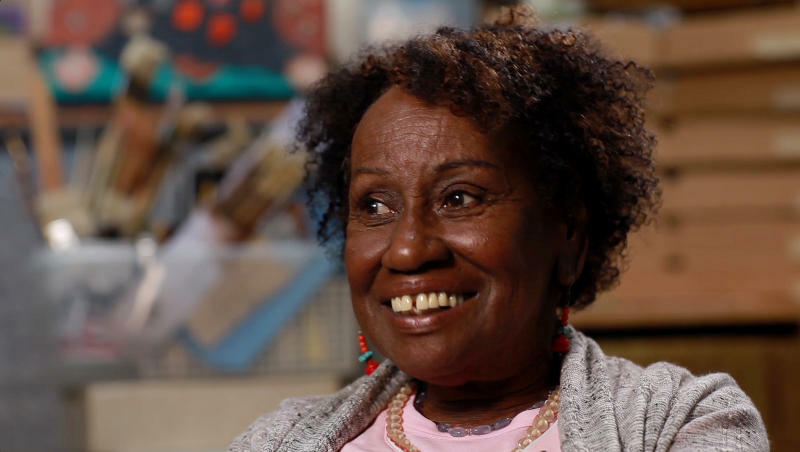 She’s a muralist, community activist, and teacher. Boone came in to the KALW studios to tell Jen Chien about addressing social issues through her art and to give her picks for cool happenings around the Bay this weekend. 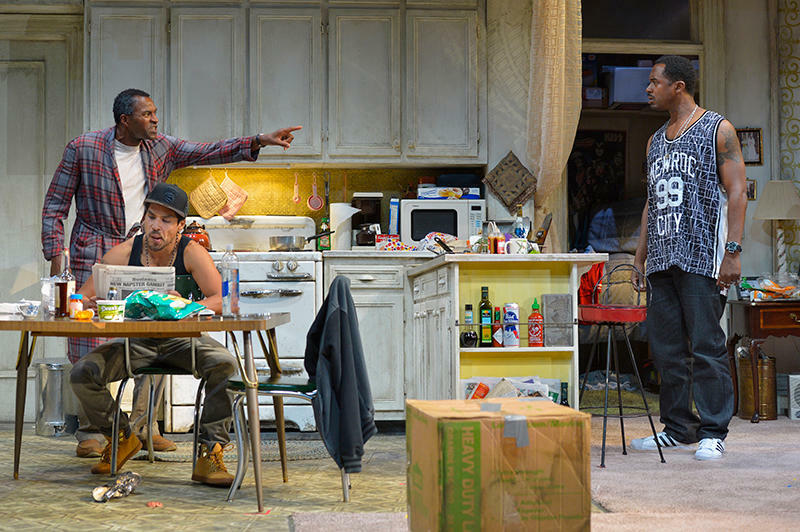 Walter "Pops" Washington (Carl Lumbly, left) argues with his son, Junior (Samuel Ray Gates, right), while Oswaldo (Lakin Valdez, center) reads the newspaper in Stephen Adly Guirgis's Pulitzer Prize–winning dark comedy, Between Riverside and Crazy. The play Between Riverside and Crazy runs tonight 9/17 through Sunday 9/27 at A.C.T's Geary Theater in San Francisco. This dark comedy from playwright Stephen Aldy Guirgis (The Motherf*cker with the Hat, Jesus Hopped the A Train) tackles gentrification, recovery, faith, sketchy houseguests, and the saving grace of family. Ex-cop and recent widower Walter “Pops” Washington simultaneously tries to hold onto to his rent-stabilized apartment in New York City, fight City Hall, and deal with his newly paroled son moving back home with his pregnant girlfriend, Lulu. BOONE: Everything that's happening in this play applies to today, and it's a comedy, too. Joseph Mallord William Turner, “Peace – Burial at Sea,” exhibited 1842. Oil paint on canvas. 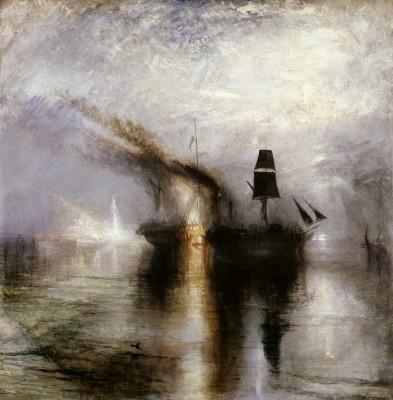 This is the last weekend for the J. M. W. Turner: Painting Set Free exhibit at the de Young Museum in San Francisco. Turner was a 19th century English painter celebrated for his use of color and light. The exhibit features more than 60 oil and watercolor paintings created by Turner late in his career using nature, history, and, religion as themes. On Friday 9/18 there's a special event at 6:30pm, part of Friday Nights at the de Young: Visible Music Inspired by Turner: by Artist Peggy Gyulai and the San Francisco Chamber Orchestra All-Star Quintet. Inspired by the power and atmosphere of J.M.W. Turner's paintings, painter Peggy Gyulai joins five musical virtuosos from the San Francisco Chamber Orchestra to present a unique evening of live musical performance and painting. BOONE: I love the way he brought out the light in fire and clouds, just totally gorgeous. Tonight, 9/17, SFAZZ presents the 50th Anniversary of Duke Ellington's Concert of Sacred Music at Grace Cathedral at 8pm. This concert celebrates Ellington's musical program to consecrate the newly dedicated sanctuary at Grace Cathedral on September 16, 1965. Local and international jazz talent will perform Ellington's devotional compositions in all-new arrangements by SFJAZZ Collective saxophonist Miguel Zenón. Tap dancer Savion Glover will play an integral role as did tap dancer Bunny Briggs at the 1965 concert. BOONE: When I hear jazz, I feel like I'm meditating; You can put your own story to the music. Sights & Sounds is your weekly guide to the Bay Area arts scene through the eyes and ears of local artists. This week, our guest is Rupa Marya, composer, guitarist and lead singer for her band, the April Fishes. Marya swung by the KALW studios to chat with Jen Chien and give her picks for cool arts happenings in the bay this weekend. Sights & Sounds is your weekly guide to the Bay Area arts scene through the eyes and ears of local artists. This week our guest is Amara Tabor-Smith. She’s a dancer, choreographer, performer, San Francisco native, and Oakland resident. 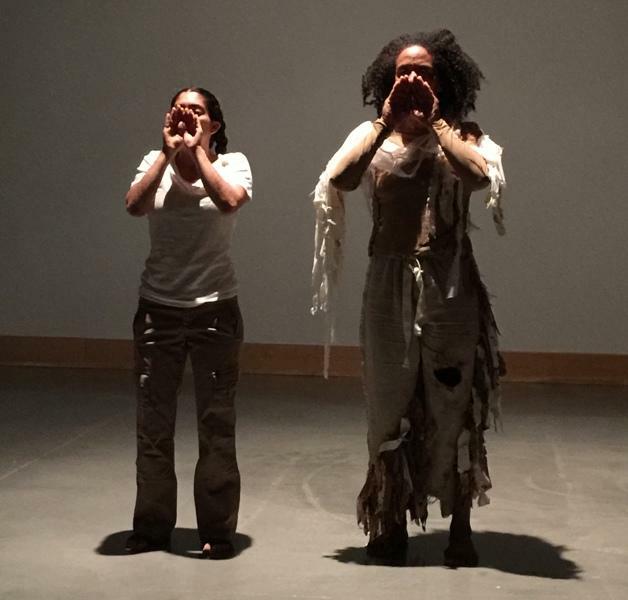 Tabor-Smith caught up with KALW's Jen Chien to talk about their dancing days and to give her picks for cool arts happenings around the Bay this weekend.